DriCore Waterproof WPC Engineered Flooring has been designed with the busy homeowner in mind. 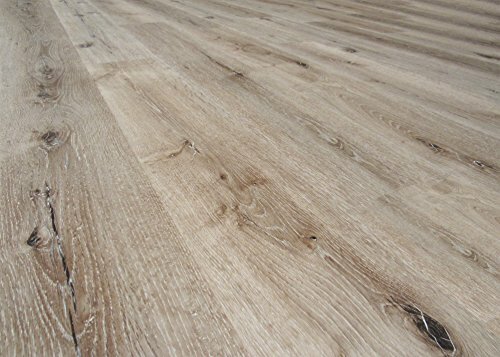 Amongst its many features DriCore Flooring comes in beautiful colors with realistic wood like embossing. Textured surface brings the wood grain to life. 100% waterproof flooring is low maintenance, easy to dust and mop. Great for use in all areas of your home including, basements, bathrooms, laundry rooms and kitchens. Each plank is 6.6mm thick and 47.64 inches by 6.85 inches in size. Our easy click lock installation is prefect for the do it yourselfer. Durable long-lasting construction, with a rigid core, tough wear layer and backed by a 35-year warranty. It is recommended to use a tapping block, pull bar and spacers for installation. It is also advised to use a 6-mil moisture barrier or sound dampening underlayment with moisture barrier. Contact DriCore for specifications on proper tools and underlay to use to be covered under warranty. Coordinated transition and floor molding also available. 100% Waterproof flooring, can be installed in any room of the house! If you have any questions about this product by DriCore, contact us by completing and submitting the form below. If you are looking for a specif part number, please include it with your message.